No matter if you are an iPhone user or an Android, a good foosball application is essential to every foosball lover. But, sometimes is challenging to find an app that can keep you entertained for hours. 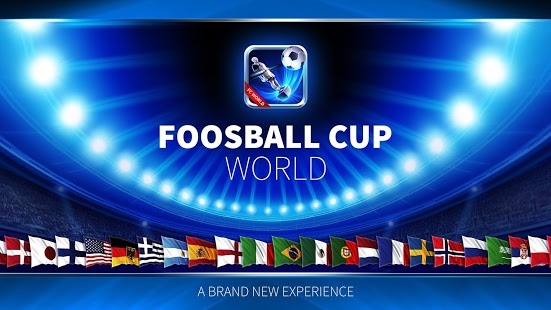 Foosball Cup World is the best foosball app for Android on the market. Ludus Studio is a company which has developed one Foosball app before and people are satisfied with that one too. The graphics on this app are impressive and the number of choices for the game, players and other settings is great. On this app, you can choose to play tournaments or if you don’t feel like that, you can achieve goals through challenges. If you choose the tournament, you can choose a team out of 51 countries. This game is not so good and the Foosball Cup World, but it has its own charm. What I liked most is the fact that you can play on 4 difficulty levels which means that you can adjust the game to your skill. It is a game for fun and you can play it with (or against) your friend or family. It is made for Android and what it is more important, it is free. 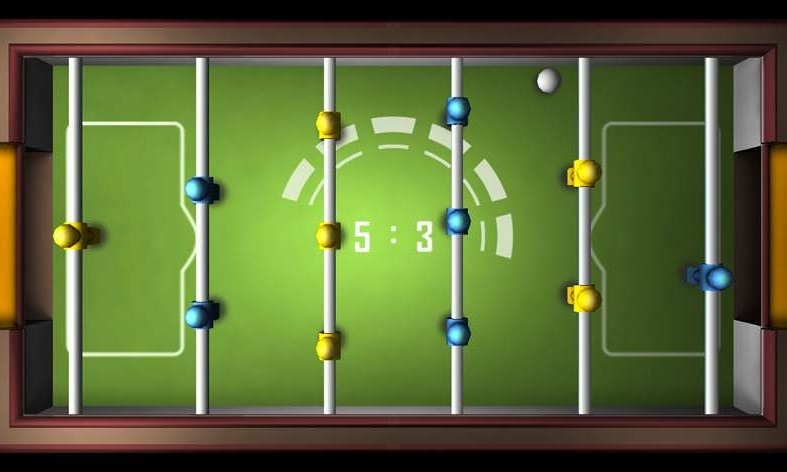 This foosball app made for Android users has a childish design, almost as it is a cartoon. It is not so good application and not because it crashes a lot (which is not true) but because it is not so user-friendly. There aren’t too many options and you are controlling the players with 2 small arrows at the bottom corner of the screen. That means, if you are playing with someone, there will be no room for anything else. This is the first application made for iOS devices on this list. The design is pretty simple and it provides very smooth play. The game has 3 difficulty levels and no other option. It is a shame to play on the same field with the same players every time, but that is something app developers can change. If you don't mind the lack of options for players or fields, then you will love this application. 5. Let's Foosball Free – Table Football by Niea Tech Co, Ltd. This application made for iOS devices has far more options than the application above made for iOS. 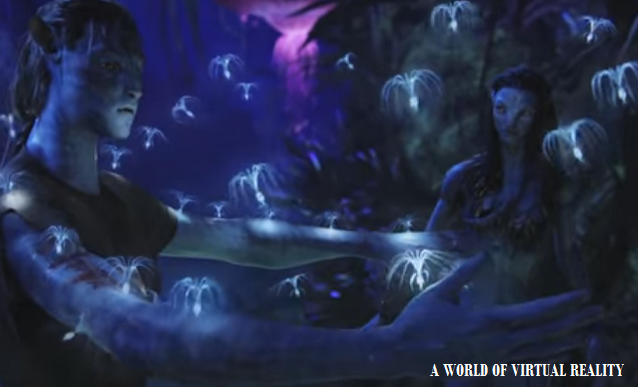 There are 1, 2 or more players options for you and your friends because it has multi-touch control. Just like the games above, you can pick the difficulty level out of 4 max and you can complete different challenges to improve your skills. There is even a possibility to have counterbalanced players. This article was written by Mark, a foosball enthusiast who also has a blog about foosball. If you are interested to learn more about foosball in general or you want to read foosball table reviews, check out his blog.